Since this press release was issued the DVLA has admitted that it miscalculated – in fact double counted – the number of records it sold to car parking management firms in May 2017. This resulted in an inflated figure for Q1 2017-18 which is what the RAC Foundation based this press release on. The error was spotted and corrected by the DVLA by the time it released the data for Q2 2017-18. The actual number of records sold to car parking management firms in Q1 2017-18 was 1.3 million and not 1.74 million as previously reported. However, although the May data – and hence total for Q1 2017-18 – was revised downwards, the overall story remains the same: the DVLA continues to sell data to car parking management companies at a record and increasing rate. The press release below remains as it was originally drafted. A Conservative MP has tabled a bill to crack down on the private parking industry as latest figures from the DVLA show a 64% surge in the number of vehicle keeper records being shared with firms. Sir Greg Knight’s private members’ bill – Parking (Code of Practice) – aims to end industry self-regulation. It had its first reading in the House of Commons last week. According to data just published, the DVLA shared 1.74 million records with private parking companies in the first quarter of the 2017-18 financial year. This is compared with the 1.06 million records released in quarter one 2016-17. If the release of data was replicated across the remaining three quarters then the annual total would be 7 million, up from 4.7 million in 2016-17. The records are used by parking companies to chase vehicle owners for alleged infringements of rules in private car parks. The penalty tickets the companies issue are often up to £100 each. 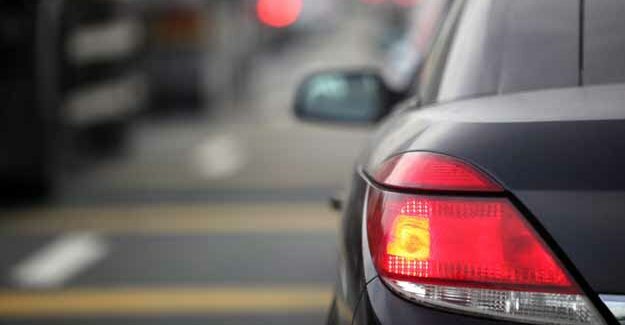 ParkingEye Ltd obtained the largest amount of DVLA data in the first quarter – some 570,000 vehicle keeper records. Second was Smart Parking – 125,000. Third was Euro Car Parks – 118,000. The data suggests that a private parking ticket is now being issued every 4.5 seconds; the equivalent of 13 per minute, 799 per hour and 19,173 per day. The surge in ticketing comes after the ban on clamping on private land, which came into force in 2012, and two years after the coalition government consulted on possible changes to the private parking industry. To access DVLA data, parking firms must be members of an accredited trade association. There are currently two of these: the British Parking Association (BPA) and the International Parking Community (IPC). Both the BPA and the IPC have their own codes of practice and appeals services for drivers. “These figures are a stark illustration of why Sir Greg’s bill is so badly needed and if there is one piece of legislation which should command cross-party support it is this. “Self-regulation of the private parking sector has not worked – even many of the big companies acknowledge that – and we are delighted Sir Greg Knight is coming to the rescue with law that will create a single, binding code of conduct, something we have campaigned for over several years.